If there’s one thing keeping the supply chain industry up at night, it’s data security. Panelists from Johnson & Johnson and other industry leaders highlighted data worries during the Council of Supply Chain Management Professionals’ Edge 2018 conference, emphasizing that in 2019, cybersecurity must be the top priority in our field. Cybersecurity threats have loomed for several years, and high-profile data breaches in other industries hint at the risks we face in our own. Verizon reported in 2018 that more than 2,200 breaches were reported around the world. If global brands such as Amazon, Facebook, Under Armour, and Delta Air Lines can be hacked, every company is vulnerable. The Internet of Things is a more prevalent reality every day, so we need to invest in risk mitigation now. Connected devices can drive efficiency and transparency, but they also leave enterprises vulnerable to breaches unless the proper protocols are in place. This is doubly true for supply chain vendors because cybercriminals often view our industry as an easy entry point for hacks. Case in point: The hackers behind the infamous Target breach used HVAC vendors to infiltrate the company. A 2018 CrowdStrike report revealed that two-thirds of the organizations surveyed experienced supply chain attacks within the previous 12 months. Troublingly, just 37 percent of those based in the U.S., the U.K., and Singapore said they had vetted their suppliers for security risks. It’s clear that supply chain partners must prioritize cybersecurity in their processes and partner relationships. Fortunately, cloud-secure processing systems already provide assistance in this regard, offering advanced solutions for digital business models. Supply chain management will see substantial advances in the IoT, artificial intelligence, and robotics in the coming years. Embracing these technologies will be essential to stay competitive, but security will be vital as well. Cloud-secure processing systems can provide the needed infrastructure for fast, safe digital processes. Some decision makers are reluctant to embrace the cloud. 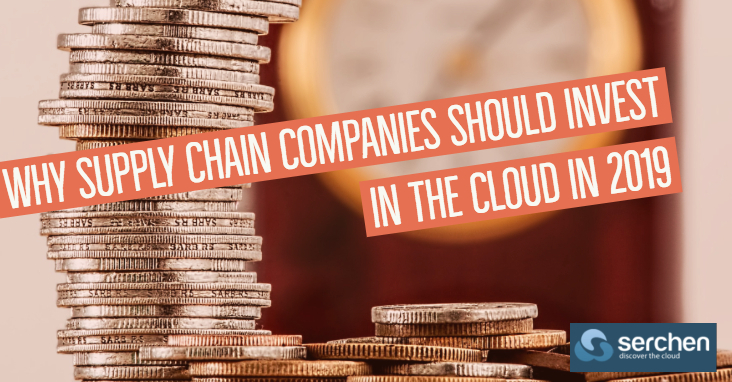 They worry that transitioning to the cloud will decrease visibility into their supply chain functions, leave them more vulnerable to breaches, and cause strain among their IT departments. However, the key security concerns with a cloud system aren’t about the infrastructure; they’re about roles and permissions.